Something amazing happened today in London – summer began! I thought it would never happen, but the sun has been shining all day, the temperature is in the high twenties – and – it’s set to continue all week! just look at the sun shining down on my balcony. 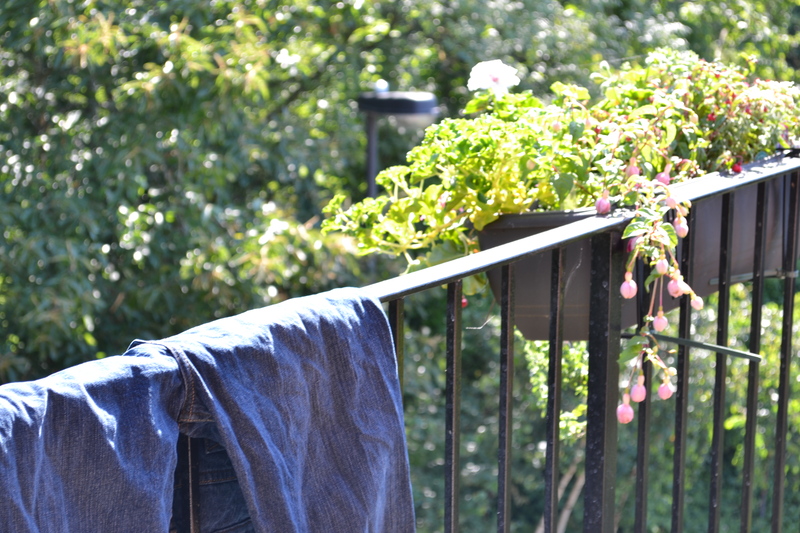 I couldn’t resist the chance to get a bit of clothes drying done too! 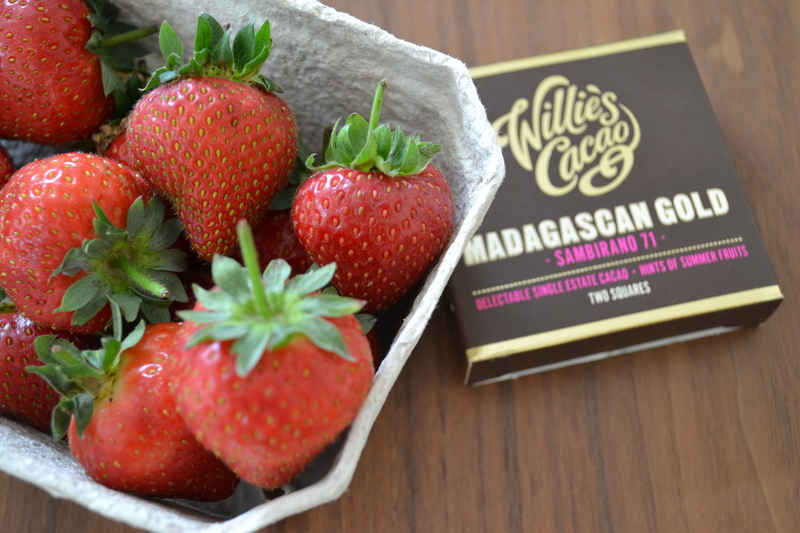 The sudden start of summer put me in the mood for strawberries, luckily my fridge was loaded up with such lovelies. 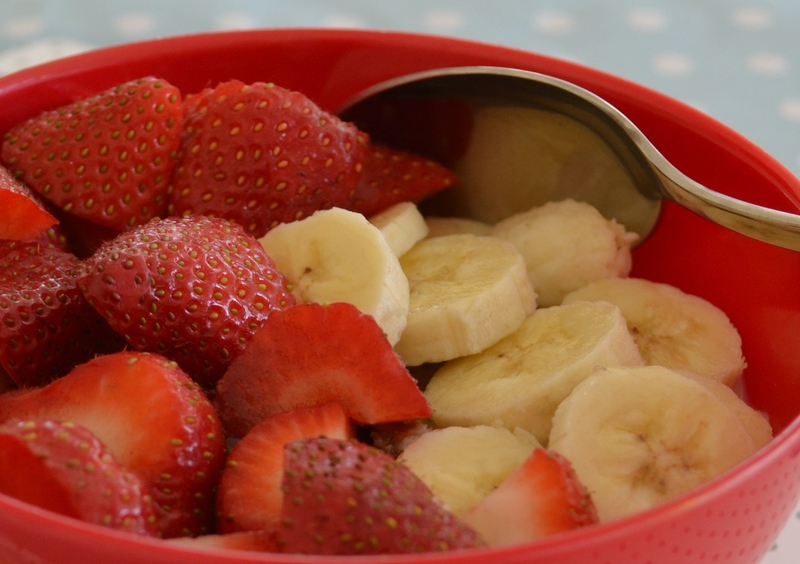 My favourite muesli was hidden below the berries and bananas – a magic combo! These were so cute, so delicious and so easy to put together. 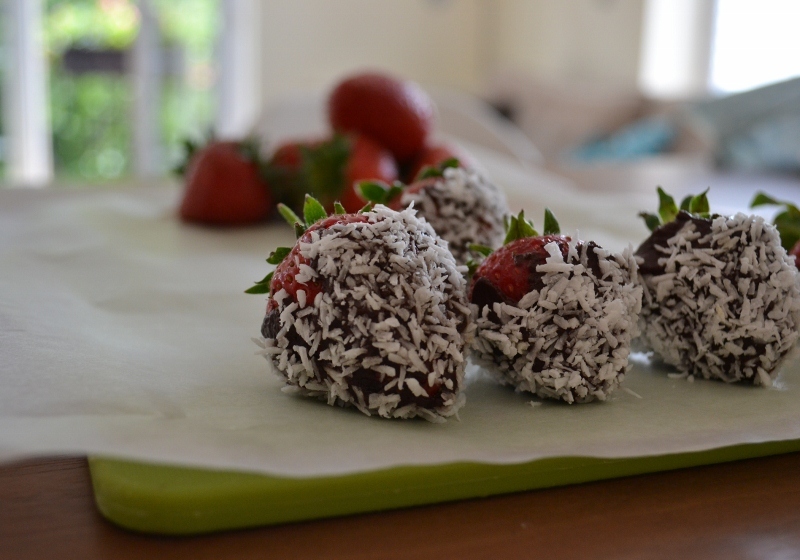 All you need is some ripe strawberries, dark chocolate and shredded coconut. Melt the chocolate, being careful not burn it (like I did – twice!). Spread some shredded coconut out on a plate. Swirl a berry around in the chocolate, roll it around in the coconut, place on a plate and repeat. Rest them in the fridge for a hour or so to let the chocolate set. Then enjoy! They are great with coffee after a big dinner.